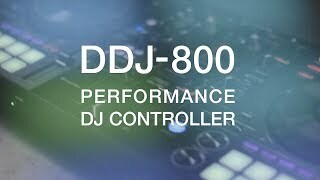 Take your performance anywhere: Meet the DDJ-800 controller, designed for rekordbox dj – 2-channel DJ controller with professional performance capabilities in a compact, portable body. The DDJ-800 is our first 2-channel controller to feature high-definition LCD screens showing information such as playback time, BPM, and waveforms in the centre of each jog wheel. Cue Scope indicates the distance in bars from the current playback position to Hot Cue points and Loop points, enabling you to mix quickly and more accurately. You can choose to display full artwork on the displays, helping you instantly identify the track loaded on a deck by simply looking at the jog wheel. 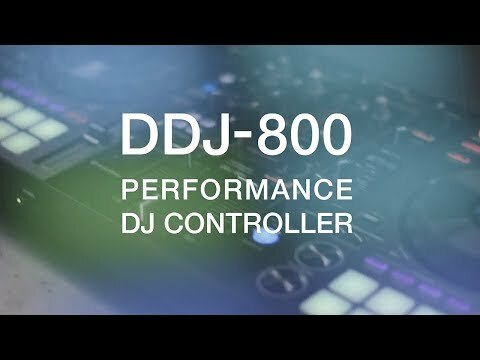 Perform with the DDJ-800 as if you’re using our flagship setup. All the buttons, knobs, and faders on the controller are arranged and used in the same way as those on our club-standard CDJ-2000NXS2 and DJM-900NXS2 setup. Use Feeling Adjust to set the resistance on the jog wheels to your preferred weight for scratching and spice up your sets with the popular Sound Color FX and Beat FX from our DJM mixer series. You can instantly reference BPM and the name of the selected FX without looking at your PC/Mac thanks to the dedicated Beat FX display, making it easy to use the FX whenever inspiration strikes. You can use the DDJ-800 as a mixer to control the volume of audio input from an external device – even when you’re using it on its own*3 – by adjusting the trims, channel faders and EQs. And, when the controller is connected to rekordbox dj, you can use Sound Color FX and Beat FX too. Considering purchasing the Pioneer DDJ-800? Have questions? Ask people who've recently bought one. Do you own the Pioneer DDJ-800? Why not write a review based on your experience with it. 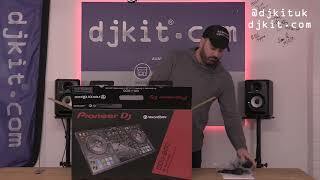 Seen a video for Pioneer DDJ-800 online or have you own video? You will earn 1,558 loyalty points with this product worth £3.90, when logged in. 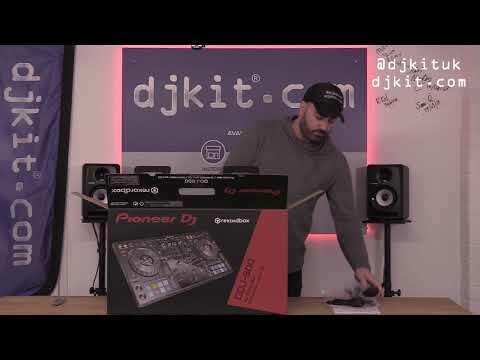 Check out Pioneer DDJ-800 on DJkit.com!